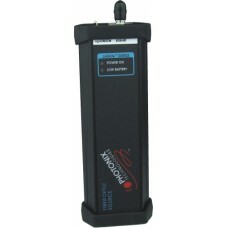 The LANLITE™ VISIBLE LASER light source (VFL) was designed to provide the test technician with a rugged inexpensive, and easy to use troubleshooting tool to isolate local light leaks or breaks in singlemode or multimode fiber.Microbends, macrobends, breaks, poor mechanical, fusion splices, and cracked connectors can be identified with this product. The LANLITE™ PX-C110 fiber VFL gives the technicain stabilized outputs and standard ST ports(also available with FC or SC ports). This source is very easy to use. Simply flip the switch to an ON or MOD (3Hz modulated) postions and begin finding leaks.